In 2017, Carter Hills received a Study Award for excellence in English Language. Carter was taught by Ms Fiona McDonald and he earned a perfect score of 50 for this subject. Carter was also the Dux of the College. 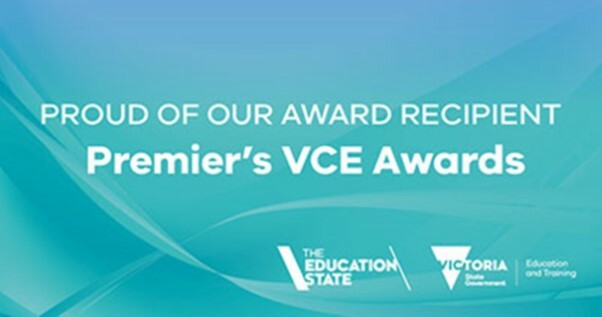 The annual Premier’s VCE Awards recognises the top-performing students in the state, with 274 students presented this year with awards for their outstanding results. The Awards Ceremony was held on Tuesday 15 May. The entire St Joseph’s College community is proud of Carter, and would like to congratulate him on being the recipient of such a prestigious award. 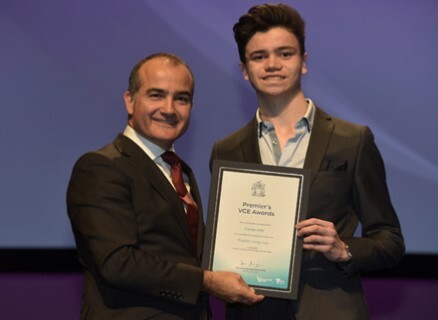 Carter is pictured above receiving his award from James Merlino, Minister for Education and State Member for Monbulk. Carter is currently studying a Bachelor of Engineering (Honours)/Science degree at Monash University. We recently said goodbye to Valmai the golden Labrador. 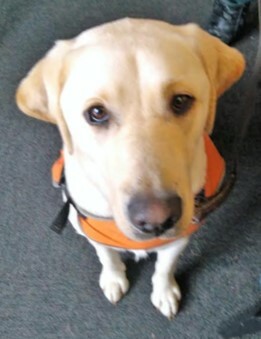 She is currently being assessed with Guide Dogs Australia to determine the sort of work she will be doing in the future. Thank you to Mr Peter Weatherlake, staff and students from Valdocco Campus for the wonderful work you did with Valmai over the past 12 months. 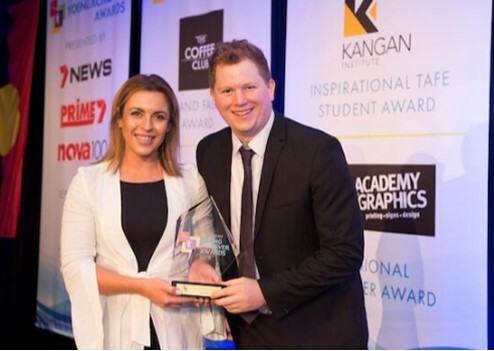 Mr Tom Lobbe (pictured below) won the Young Achiever Awards 2018 Inspirational TAFE Student Award and we congratulate him. Tom is a member of our Maintenance and Grounds Team. Tim Peddell (10 Ledda) – Tim’s father, Scott Peddell, died recently. Marlon Marinos (10 Edwards) – Marlon’s mother, Monika Hendryck, died in early May.